Creative Living for Life and Medina Creative Housing | Lubrizol Advanced Materials, Inc. The affiliated non-profit organizations Creative Living for Life and Medina Creative Housing actively create opportunities that promote the development and ongoing management of permanent, fully accessible, affordable housing and quality support services for persons with physical, intellectual and/ or developmental disabilities. 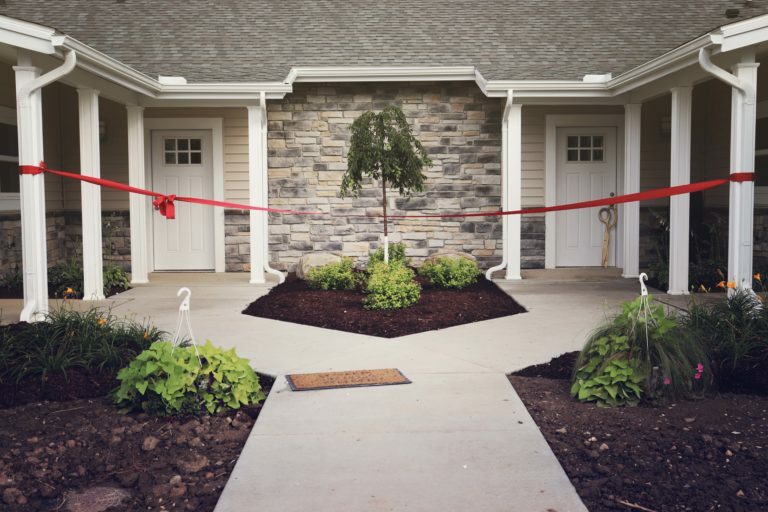 Initially focused on individuals with disabilities in Medina County Ohio, these organizations are expanding their efforts to construct, own and manage personal, private apartment communities across northeast Ohio due to the growing, overwhelming demand of such housing for individuals with disabilities. Such individuals can realize true community integration with appropriate levels of support for health, safety and security. Approached in 2016 by a Lubrizol retiree and Creative Living for Life Board President, Greg Ondercin, The Lubrizol Foundation and members of Lubrizol’s CPVC team were in admiration of the organizations, their mission and development/operating model. In support of their efforts, The Lubrizol Foundation provided a $50,000 grant in 2018. The grant money was designated to cover out of pocket costs associated with BlazeMaster® fire protection systems and FlowGuard Gold® plumbing used in the construction and development of a housing community in Medina, Ohio and a housing facility in Brunswick, Ohio that is enriched with services for individuals with disabilities who have the desire and ability to attend college and achieve a higher education. Understanding the importance of the construction, development and customization of these living communities, The Lubrizol Corporation’s BlazeMaster® Fire Protection Systems and FlowGuard Gold® Pipe & Fittings teams worked in great collaboration with Creative Living for Life, Medina Creative Housing, Tober Building Company and contractors to ensure the best possible end product: a community that enables a safe, healthy independent lifestyle. Housing options and government support funding for construction are quite limited for persons with disabilities. With the limited options involving very large waitlists (for example, 400- 500 individuals with Medina Creative Housing), many families are left discouraged and anxiously waiting for new living situations that would not only provide their adult child with a place to live, but a home surrounded by a safe community. This makes the development of a safe, reliable environment critical to delivering peace of mind to families and securing individual success and happiness. Lubrizol’s involvement went beyond grant facilitation and product installation. Drawn to Creative Living for Life and Medina Creative Housing’s unique housing model, Lubrizol wanted to increase their level of support. The scope of the Creative Living for Life – Medina community involved 2 buildings and a total of 8 garden style apartments. The Creative Transitions – Brunswick housing facility involved 8 studio apartments and common areas for lifestyle and academic support services. Working in close collaboration with Creative Living for Life and Medina Creative Housing, Lubrizol’s CPVC business team donated BlazeMaster® Pipe & Fittings and FlowGuard® Pipe & Fittings to be installed into every new apartment unit. Lubrizol’s CPVC team also provided installation education to Tober Building Company to ensure all safety measures were met. Tober representative, Jim Whitmore, project engineer, explains just how far Lubrizol team members went to support the housing project. This includes the support received from Peter Mullen, Regional Sales Manager of North America for Lubrizol Engineered Materials. 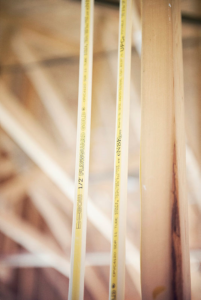 This hands-on support ensured proper installation and the best protection to the Creative Living for Life and Medina Creative Housing residents. By taking these extra measures, the product will allow residents to maintain a safe, sustainable lifestyle. 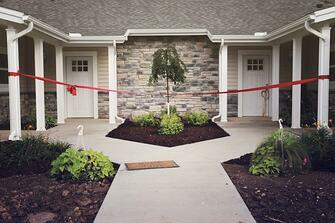 Creative Living for Life completed a nine month construction process and held a ribbon cutting ceremony to open a newly built community in Medina, Ohio on July 3, 2018. This ceremony not only acknowledged the dedication of the families, staff, volunteers and corporate partners like The Lubrizol Corporation, but celebrated the start of a new, independent lifestyle for 8 individuals with disabilities. Focused on personal growth outside the home, residents will have the opportunity to participate in vocational training programs that include employment in Medina Creative Housing managed programs that serve the community. From growing fresh produce at Medina Creative Produce’s sustainable greenhouse to supply local restaurants, schools and area businesses, to caring for neighborhood pets at Creative Pet Play, and serving healthy food and fresh brewed Creative Coffee at cafes in areas hospitals, there are many opportunities for residents to earn wages and feel a sense of belonging in their community. By having the financial support and best products installed in their community, Creative Living for Life and Medina Creative Housing staff, volunteers, residents and their families can focus on their path to a safe, fulfilling, independent lifestyle.